AGM TECH - The Acid Inside Is Absorbed Between The Plates And Thereby Immobilized By A Very Fine Fiberglass Mat. This Along With The Valve Regulated, Spill-Proof Design Of Our Batteries Allows Trouble-Free, Safe Operation In Any Orientation. USER FRIENDLY - Easy, One-Time Installation Of Our Maintenance Free and Valve Regulated Batteries Will Get Your System Or Application Running In No Time At All. 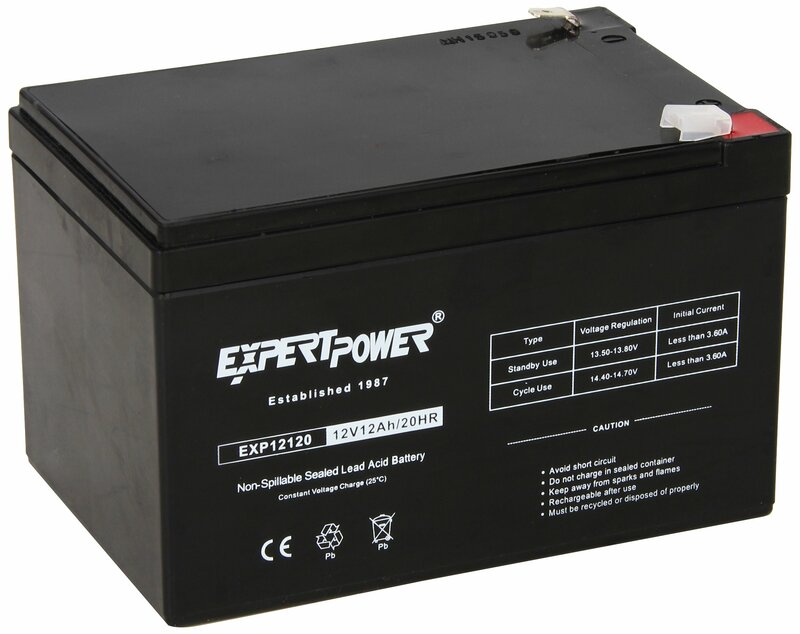 Size: 12V 12 AH ExpertPower Sealed Lead Acid Batteries are made with the highest quality ofmaterials available. Our Lead Acid Batteries are typically used for: HomeAlarm Systems, Uninterruptible Power Supply(UPS), Lighting Equipment, GeneralElectronics, Home Security Systems, Emergency Systems, Medical Devices,Electric Scooters, Solar Collectors, Wheelchairs and many Other Applications.Whether it's the SECURITY of your home, the MOBILITY of your machine, or evenjust a personal HOBBY, be sure to use the most efficient batteries available.